The setting for this western Canadian city of almost 100,000 is quite spectacular. 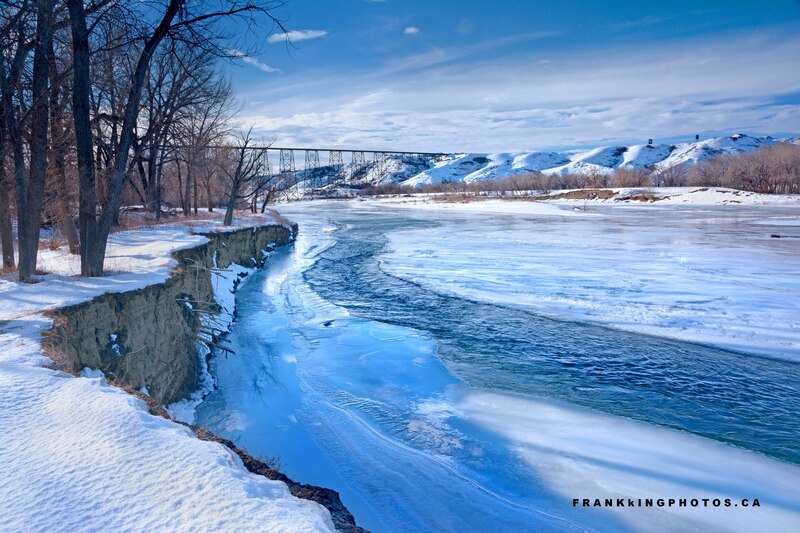 The Oldman River valley is truly breathtaking, especially in winter, and there are many glorious viewpoints to see it and the High Level Bridge. Completed in 1909, it’s the longest and highest steel trestle bridge in North America. I found this spot to put the bridge into a larger setting. Nikon D7100, tripod, polarizing filter and a graduated density (darkening) filter on the sky.